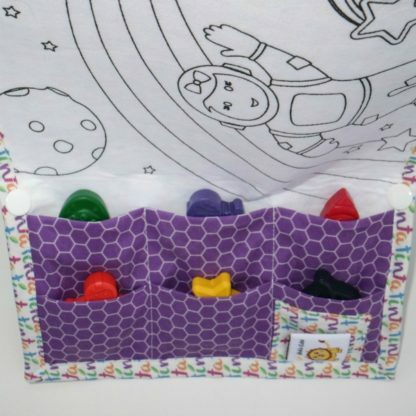 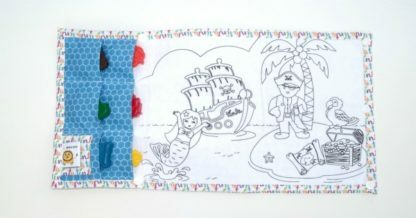 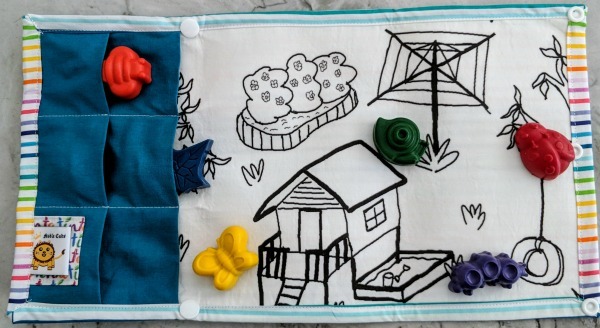 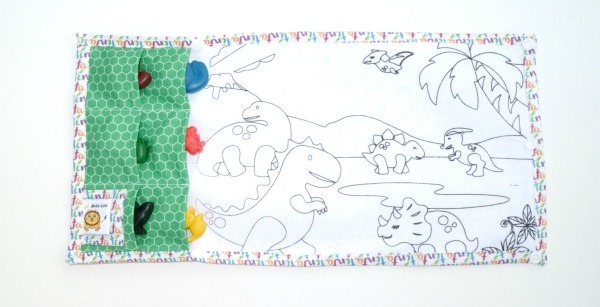 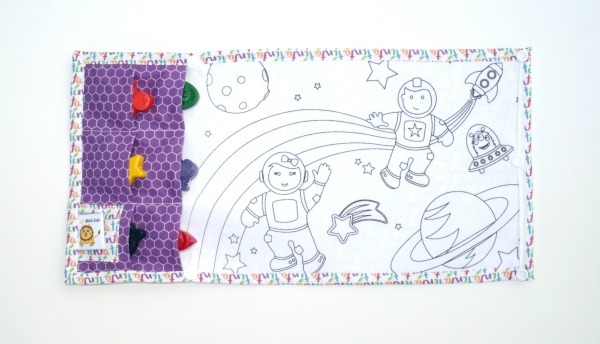 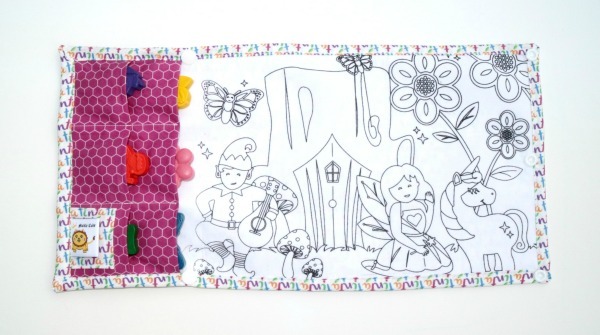 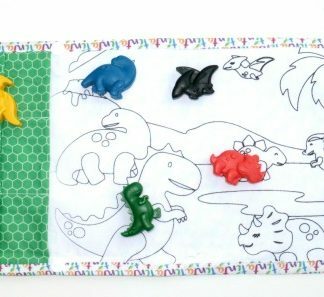 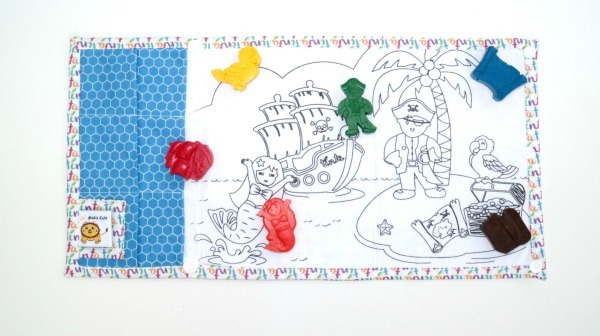 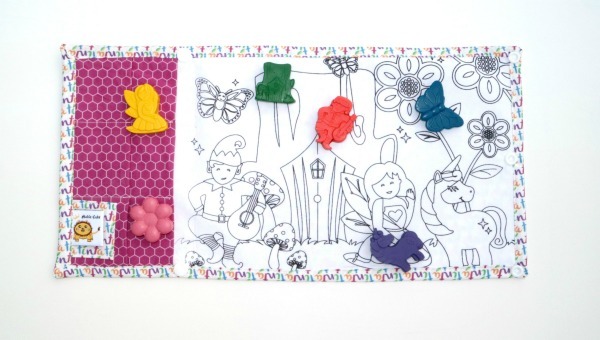 These washable, reusable fabric colouring mats are perfect for keeping children entertained on the go. 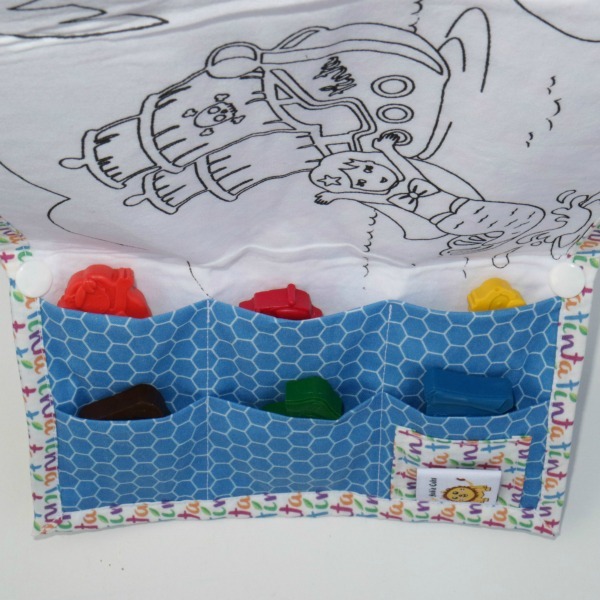 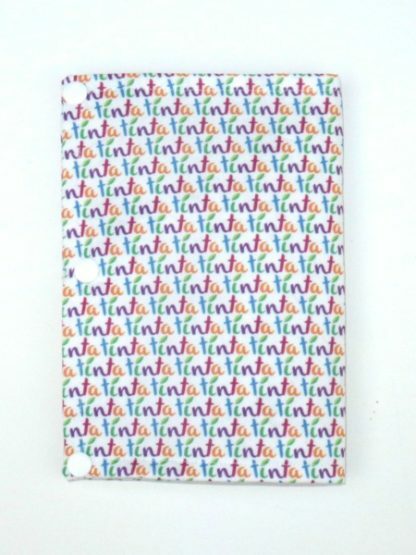 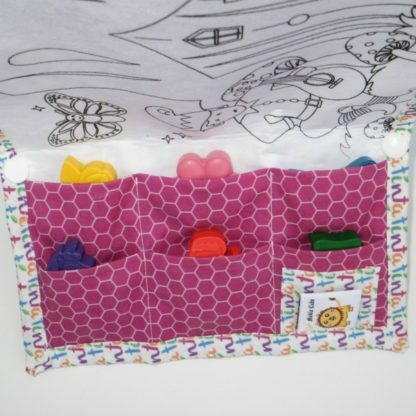 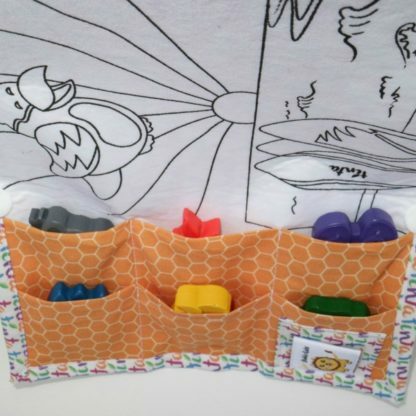 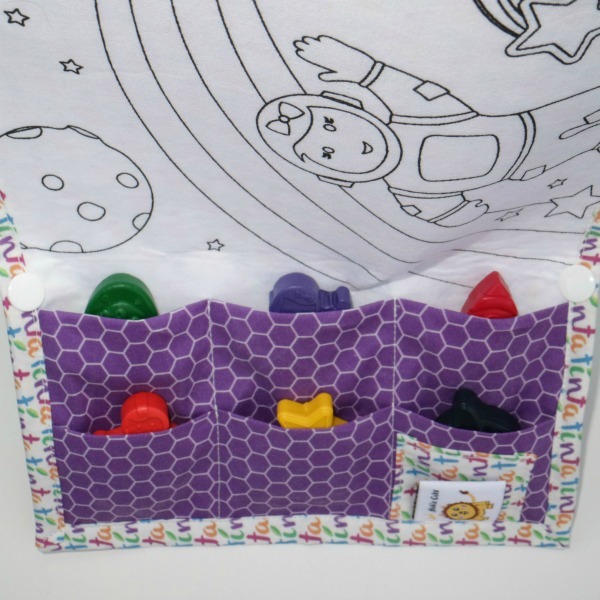 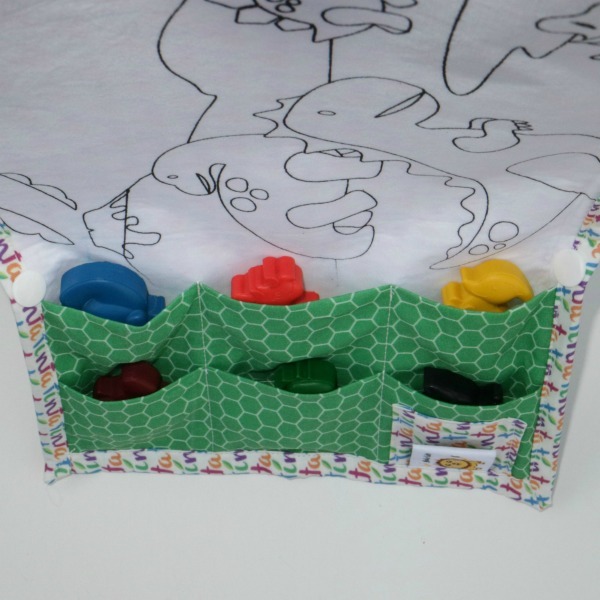 Each mat features a scene from the World of Tinta and has pockets to hold the six moulded crayons that match the picture. 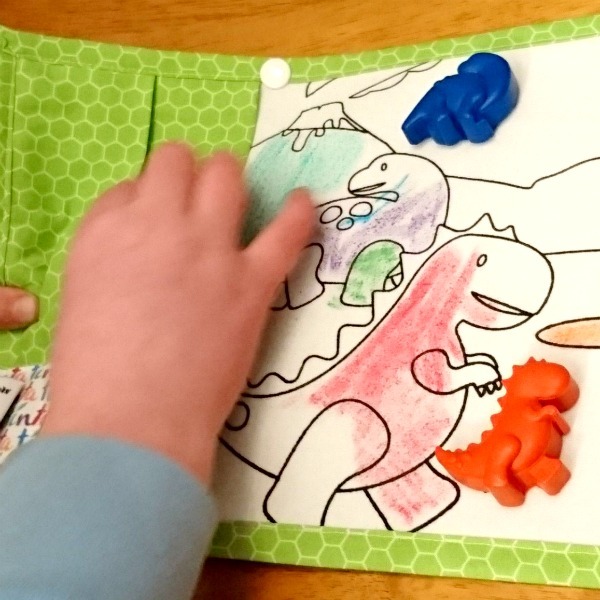 Each mat is the size of an A4 sheet and folds neatly to the size of an A5 sheet for easy transportation. 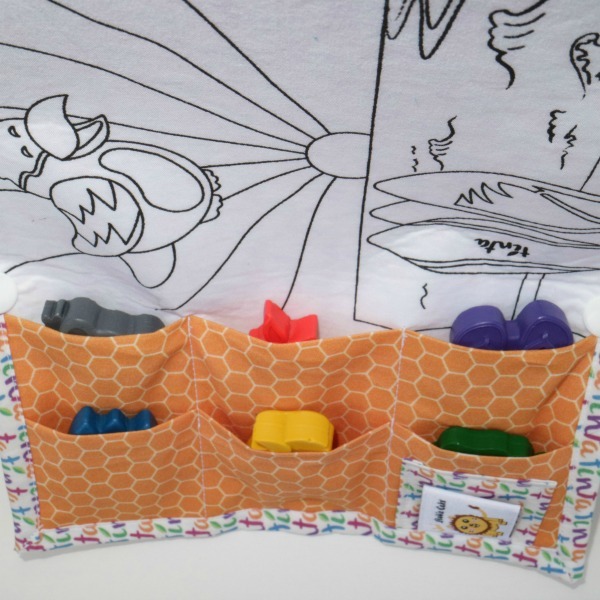 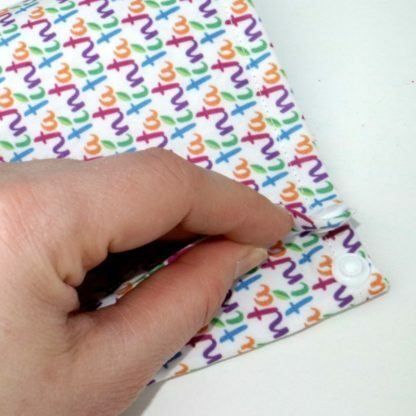 The travel mat is clips shut with two press-studs, allowing easy opening and closing and stopping the crayons from falling out in transit. 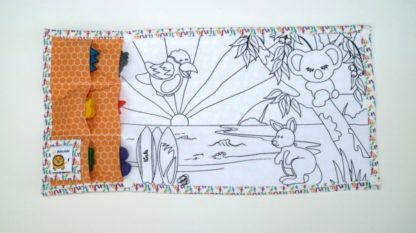 Each mat also has a press-stud to allow an add-on mat (purchased separately) to be added to the mat for more colouring versatility. 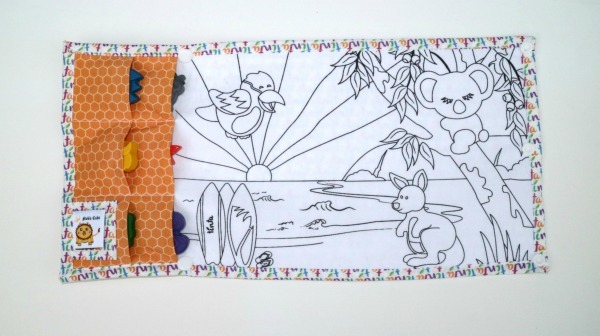 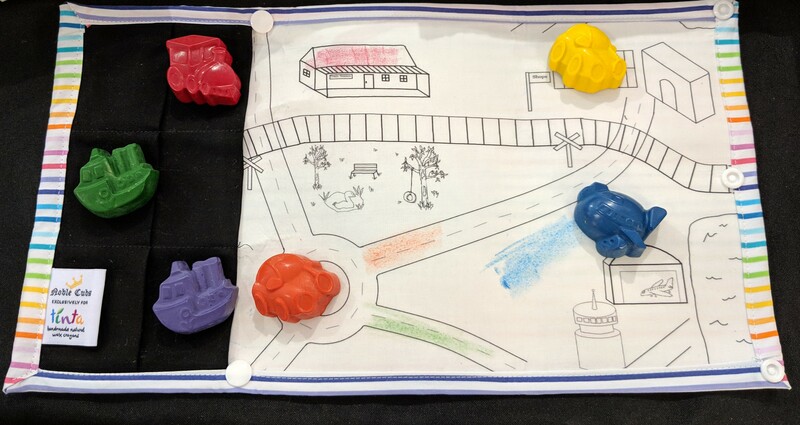 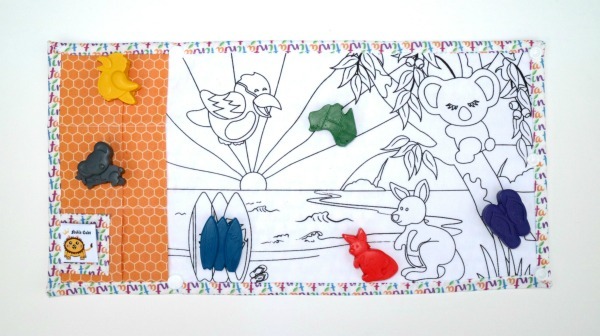 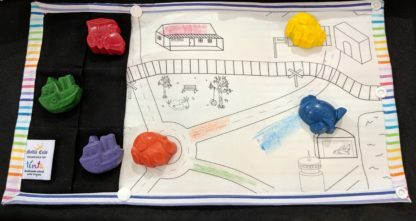 The World of Tinta travel colouring mats are a collaboration between Tinta Crayons and Noble Cubs and are handmade in Queensland from cotton. Wash in hot water and iron if desired. 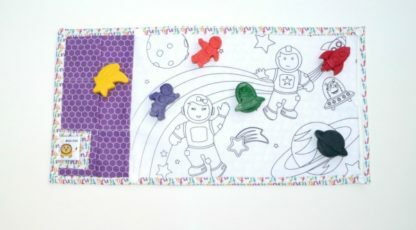 Remove crayons from the pockets before washing.